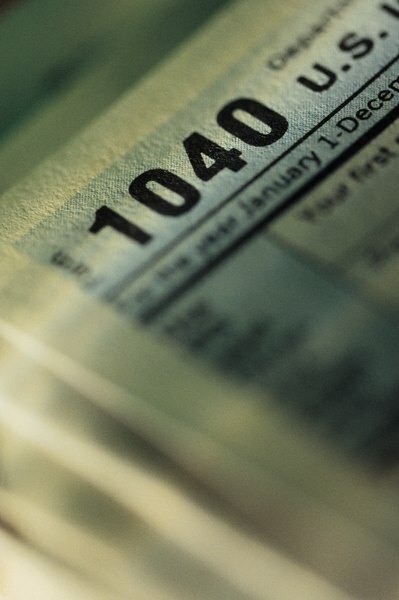 Save money on your taxes by contributing to your employer's 403(b) retirement plan. 1. How Does a 401(k) Plan Work? 3. Can You Refinance Your 401(k) Loan? 403(b) tax-sheltered annuities provide tax-deferred retirement savings to employees of non-profit organizations. To be eligible, you must work for an organization with tax-exempt status under Section 501(c)(3) of the Internal Revenue Code. You can defer a portion of your salary into the plan each pay period, which reduces your taxable income for the year. Interest, dividends and capital gains are not taxed until you withdraw. The entire amount of the withdrawal is taxed at your ordinary income rate, not the capital gains tax rate. You may also roll the money into an IRA or another employer's retirement plan to continue deferring the taxes. For 2012, employee deferrals are limited to $17,000 per year. This number rises to $17,500 in 2013 and will be adjusted again in the future to keep up with cost of living increases. Your combined employee and employer contributions may not exceed $50,000 in 2012 and $51,000 in 2013. Employees over age 50 may defer an additional $5,500 in 2012 and 2013 as a catch-up contribution to boost your account balance as you get closer to retirement. If you have more than 15 years of service with a church or related organization, hospital, health and welfare service agency, educational organization or home health service agency, you may contribute an additional catch-up amount. The allowable catch-up contribution is the lesser of $3,000, $15,000 minus any prior catch-up contributions or your years of service times $5,000 minus all prior employee deferrals into the plan. Withdrawals from a 403(b) are normally subject to a 10 percent early withdrawal penalty if you are younger than 59 1/2 years old. However, some exceptions are permitted. Distributions made due to death or permanent disability are not penalized. You may also withdraw penalty-free funds to pay for tuition and related educational expenses, medical expenses up to 7.5 percent of your annual adjusted gross income or up to $10,000 for the purchase or construction of your first home. Once you reach 70 1/2 years old, you must start taking a minimum monthly distribution based on your life expectancy. If you are married, your spouse's life expectancy is also used to calculate your distribution. You may borrow from your 403(b) account without a credit check. Loans are capped as the lesser of 50 percent of your account balance or $50,000. Your employer will deduct the required loan payments from your paycheck. You pay the interest back into your own account, so your retirement assets continue to grow. If you do not pay the loan back within five years, the outstanding balance plus any interest owed will become a taxable distribution subject to the 10 percent early withdrawal penalty. You are eligible for early retirement benefits if you are at least 50 years old when you terminate employment and you choose to leave your money in the company 403(b) plan. You may begin taking withdrawals from the plan at age 55 without paying any early withdrawal penalties. Can I Borrow From My 401(k) If I Am Already Retired? When Can You Withdraw Money From a Thrift Savings Plan (TSP) With No Penalty? Is a 401(k) Loan Reportable on Your IRS Income Taxes?